Under an agreement with RASCOM, the Regional African Satellite Communication Organization, representing the interests of 44 African telecommunications operators, RascomStar-QAF has the responsibility to implement by 2006 the first African satellite telecommunication system covering the whole continent. 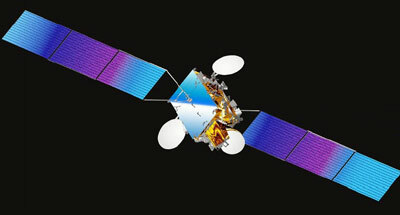 This satellite will offer RascomStar-QAF the capability to provide fixed voice, data telecommunications and Internet access as well as broadcasting satellite services to the whole African continent, although its footprint extends beyond Africa to include part of Europe and of the Middle East. Based on the flight proven Spacebus-4000B3 platform, the RASCOM-QAF 1 high performance, high capacity satellite will provide a pan-African coverage with multiple spot beams based on 12 Ku and 8 C bands transponders. The system's ground networks will include gateway Earth stations and low-cost, solar powered rural terminals. Alcatel Space will supply both the in-orbit delivered satellite and its associated ground infrastructure including the mission, business, and ground control segments. After launch, Rascom-QAF 1 suffered a Helium leak in its proulsion system and stayed about a month in the transfer orbit. End of January 2008 it finally reached the geostationary orbit, but had only fuel for a two year life time left. The replacement RASCOM-QAF 1R was ordered in 2007.